How Does Your Business Deal with Ethics? Earlier this week, I had the opportunity to attend a lecture given by the Director of Ethics and Compliance at Bombardier (aka the Director of Being a Good Corporate Citizen). He talked about how his company, Bombardier, fostered a culture of ethical compliance, and how it is essential for companies to not just "talk the talk, but walk the walk." When the time came for posing questions, I was disappointed to find that almost all his answers fell back on the same line: "Well, we have a section in the code of ethical conduct that says... hold on, let me find it." When someone asked him about how Bombardier managed environmental issues and CSR, the reply was that those areas were separate departments, and therefore out of his expertise and jurisdiction. No one got a chance to ask a vital question: Why are compliance, ethics, CSR, and environmental impact divided into separate departments? Are these issues not inextricably tied in many cases? All of these topics are linked by a key factor: values. In 1999, Gary Weaver and Linda Trevino identified ethical codes of conduct as generally falling into two categories: compliance-based and values-based. Compliance-based codes tend to be detailed and rigid, and strive to make sure all relevant legal requirements are met. The problem with compliance, however, is that laws can be full of gaps, loopholes, or fail to protect certain stakeholders in ethical issues. This allows for a plethora of unethical behaviour. Changing policies takes time, and frankly, we can't always wait for governments to rule certain behaviours as unethical or unlawful before we take action. At the other end of this continuum are values-based ethical codes, which are centered around -- you guessed it -- values. Values-oriented codes can be more overarching, focused on upholding a set of principles and basing the company's actions upon those tenets. Having a set of values gives companies a sense of brand identity, and effectively communicates to consumers what the brand is all about. That being said, values-based codes are not the be-all and end-all either. 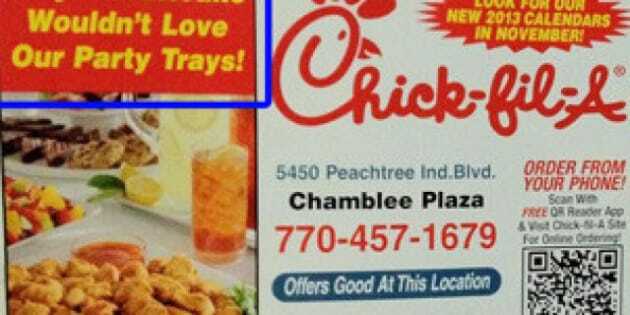 Case in point: Chick-fil-A and the anti-gay marriage controversy. Does Chick-fil-A have a system of values? Undisputedly. Do they operate based on those values? Yes, most definitely. And yet, in doing so, they managed to alienate an entire demographic. There were allegations that the company at one point pledged to cease donating to organizations that opposed gay marriage, but those claims were refuted, disappointing the LGBT community. Chick-fil-A stated that their priorities lie with their business and that "[their] intent is not to support political or social agendas." This is a clear example that having a values-based system on its own is not enough. Furthermore, values-based codes run the risk of being vague and oversimplified, and seriously inadequate in the face of legal proceedings. The ideal lies somewhere in the middle of the compliance-values continuum. Businesses need to be specific in how they deal with ethical issues, but at the same time, cut-and-paste methods that focus solely on legal compliance are not enough -- "we follow laws" is the bare minimum. Since the Sarbanes-Oxley Act was implemented in 2002, many companies have revisited their financial and ethical practices, but still, the vast majority do not take the importance of good ethical conduct over and beyond. We still hear of cases of sexual harassment, wrongful termination, fraudulent accounting, and businesses misleading customers, clients, and shareholders alike. This is why values are key. By formulating a set of defined ethical codes and policies around values, businesses create not only concrete guidelines for their employees to follow, but also a much stronger sense of identity and culture. A company image created around ethical legality? Unheard of. Ethics can no longer be a divided issue. Elements like compliance and CSR must be combined, and not only that, they must not be shunted to the sidelines or lost in the maze of everyday proceedings. Ethics must be integrated into the core of how a business runs itself, and saturate the company in both a top-down and bottom-up fashion. And for all of us who are in it for the long-haul: good ethics is good business. Period.